I decided that golf is not for me (beside I have heard that getting hit by fast travelling golf ball is much more painful than 0.2g bb). So I decided to go back to Airsoft after a years of absence. I am a professional who has a family live but still looks to have fun and maybe more tactical games with similar thinking people. Let's say I prefer Battlefield over Call of Duty game style. Now my question is there anybody from around Reading, Berkshire who thinks similarly? Any teams maybe? I will be playing at the Mall soon so maybe we can team up? Welcome . Never too old to play, and the only thing that matters is that you take your hits. Several forum members play at The Mall so you are bound to meet up with one sooner or later. Hoping to be there on the 3rd just waiting on the wife getting her rota. Hi Francis, unlikely we will play together as I am in the States, but there is a chance... Welcome. Welcome. My next Mall outing is going to be July 17th I think. If I play right hopefully you won't until its too late. Last minute but I'm booked in for the Mall on Sunday! See you there. I'm the guy with an afuk patch and the Inigo Montoya 'you killed my father' one on my chest rig. You too, how's the ankle? Running away from granade in narrow corridor, got kicked in back of my leg by poor soul behind me. This caused muscle spasm! Unlucky! Probably if I got kicked bit higher/lower/to the left/or right nothing would happen. Also during last game I lost two pieces from my replica. 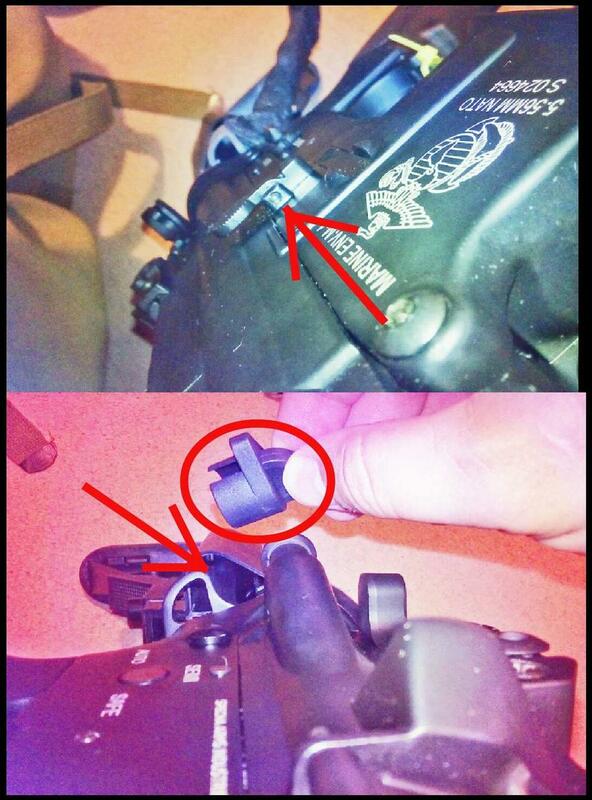 Upper receiver safety pin and one of two ruuber plugs from the stock. Do you know where I can find replacements? I will be around then, couldn't do the 3rd so doing 10th and 24th instead. It'll be my first game at the Mall, despite living in Reading for the last three years (Over in Theale). Be nice to have someone to talk to so I don't feel so much like a loner in the safe zone. If you fancy any games over at Eversley as well, let me know and we can head over! I had to change my booking to 31st of July. As it seems that to it has to be at least 56 days between first and third game to sort out UKARA. Would this still suit you guys? When I get a game booked at the Mall I'll let you know and we'll hook up for a game.